It’s Boss Time! documents the November 5th show on Bruce Springsteen’s Magic tour in Auburn Hills, just outside of Detroit. Like the other tapes used by Godfather, this is a complete and excellent quality audience recording. It has a pronounced echo, but captures the atmosphere and performance perfectly and is a very enjoyable recording. “Radio Nowhere” from Magic opens the show as it does for all but one of the shows on this tour (“Night” opened the second Philadelphia date followed by “Radio Nowhere”) and the first four songs are all segued together. 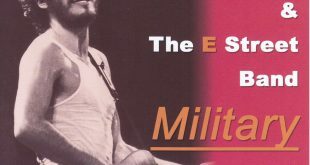 In a review written by General Jabbo, he mentions Springsteen’s little speech was met with a “mixed response” and truly on can hear some boos scattered in the generally tepid response. 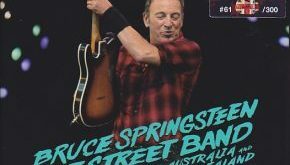 Springsteen’s role, not only as the torch bearer of of the rock ethic but also as the role prophet and advocate had been touted in the press during this tour. He has met a generally unenthusiastic response to his political posturing, facing a conservative, republican crowd who do not symphatize with the issues he advocates and who just want to rock. 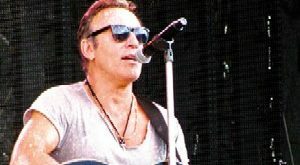 Bruce met a similar response in 2004 when he was openly campaigning for John Kerry for President, playing for a fan base who would prefer him to just play the songs instead of proselytizing for a political cause. It must raise questions why, when the country is bogged down in an interminable war, there is bearly a whimper of protest. And why rock, which played a prophetic role in the sixties, can’t muster the same impact today. Nevertheless “Magic” is a terrific and is augmented by Soozie Tyrell’s mournful violin melody. “Reason To Believe” follows and is played as an up-tempo blues number instead of the austere acoustic arrangement on 1982’s Nebraska. Again Jabbo’s review correctly states that the response isn’t that enthusiastic with quite a few loud boos at the song’s conclusion. (Of course one wonders if they are just saying “Bruce” or are booing the Bush administration, but in speaking about those who are sleeping through all these events he is indicting the audience as well.) 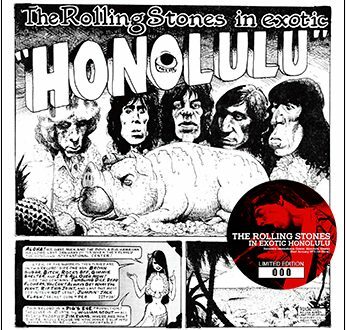 “I’ll Work For Your Love” from the new album follows “The Promised Land” and is given its world debut. “While the crowd tended to be on the older side, a young boy held up a handwritten sign during the encore that said, ‘Ramrod please.’ Springsteen, smiling ear-to-ear, said, ‘He’s been rocking all night. My kid’s 16, he’d be asleep by now.’ The band didn’t deny the request, playing ‘Ramrod’ for the first time in five years to the delight of the crowd and especially the boy. 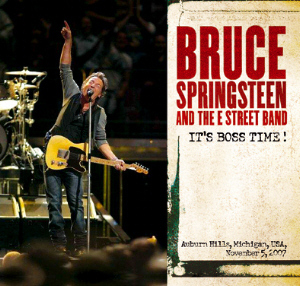 Springsteen closed the show with a rousing version of ‘American Land,’ a holdover from the Seeger Sessions tour complete with song lyrics on the screen so the audience could sing along, its lyrics speaking of opportunity for all in the American land.” It’s Boss Time! has two sets of bonus tracks. 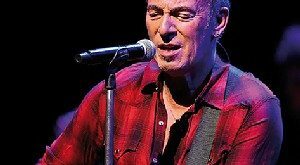 The two songs from the previous evening’s show in Cleveland, “It’s Hard To Be A Saint In The City” from Greetings From Asbury Park N.J., and “Be True” from Chimes Of Freedom are given their tour debuts. These are sourced from an excellent sounding audience recording in similar quality to the Michigan tape. The final three songs come from the October 14th show in Ottawa. The sound quality is not as bright as the other tapes used on this release, but still very good with a great live sound. This is the first of eight performances on the tour of Born To Run‘s “Backstreets.” The next two songs come from the encores when Bruce and the E Street Band are joined on stage by Win Butler and Régine Chassagne of Arcade Fire. They play “State Trooper” from Nebraska “by request” and “Keep The Car Running” from Neon Bible. This is packaged in a tri-fold gatefold sleeve with many great photos from the tour and his definitely worth having.